I’m excited to announce the publication of a new collection of essays written in honor of Prof. Gary Cockerill on the occasion of his retirement. 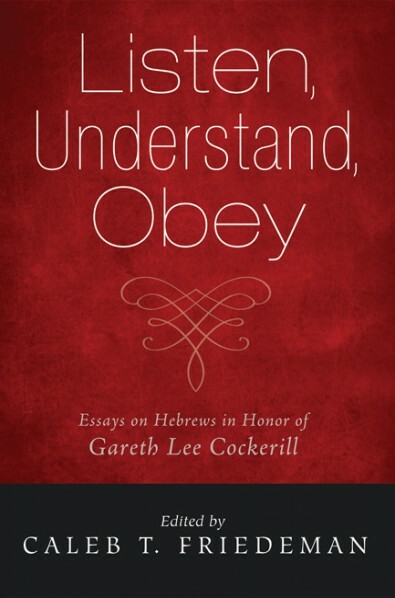 The book is called Listen, Understand, Obey: Essays on Hebrews in Honor of Gareth Lee Cockerill (edited by Caleb T. Friedeman). Dr. Cockerill has been a mentor to me for several years now, and I’m grateful to have had the opportunity to contribute to this volume as an expression of gratitude for his kindness. 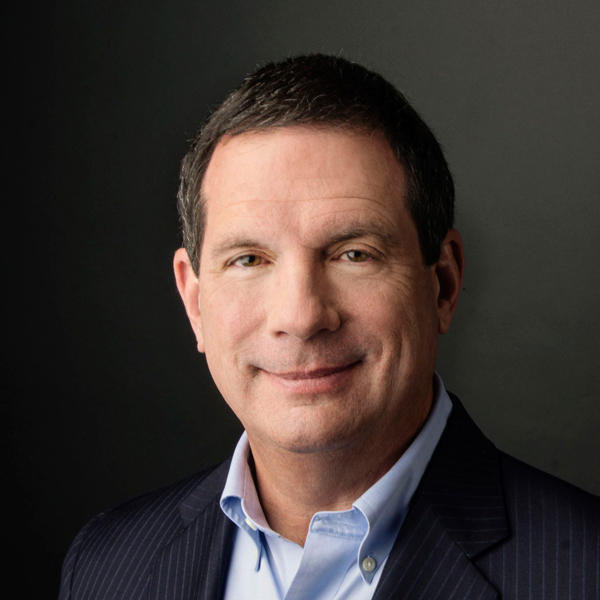 Dr. Cockerill is a scholar with the heart of a pastor, and he’s impacted countless students during his 35 years of teaching at Wesley Biblical Seminary (WBS) in Jackson, Mississippi. He’s served the last four years as Academic Dean and Professor of Biblical Interpretation and Theology, a role which has been instrumental in the growth and increasing strength of WBS. Dr. Cockerill is one of the truly fine exegetes of our day, and his commentary on Hebrews is among the top three ever written. This Festschrift is a goldmine of fine material that will aid the cause of Christ for years to come. I look forward to using this work in my own writing and ministry. A big word of thanks goes to Caleb Friedeman, a Ph.D. candidate in New Testament at Wheaton College, who did the hard work of editing the volume. He did an excellent job keeping the project on pace and bringing it through to completion. Get your copy from the publisher or Amazon. Context is everything. That’s the first rule for interpreting scripture (or any other text, for that matter). The rule refers first to the immediate context of a biblical passage, and it serves to remind us that responsible readers are not at liberty to extract a verse and do with it as they please. A good case in point is the common use of Philippians 4:13 by professional athletes, “I can do all things through Christ who strengthens me.” The verse is appropriated as something of a divine pep-talk to motivate the competitor to excellence and ultimate victory over his foes. The problem is that the original intent of the verse has nothing to do with any of that. It was composed with thanksgiving for the power of God to sustain a suffering missionary awaiting the possibility of martyrdom. It is about the strength of Christ that enables that apostle (and the readers) to persevere with faithful contentedness in the face of persecution. So, if you need encouragement as you suffer for Christ, by all means turn to Philippians 4:13. If you are competing in a televised sporting event for tens of thousands of fawning fans, perhaps you should look elsewhere. Beyond the immediate setting of a particular passage are other important levels of context that bear on interpretation. Among other things, I teach my students to interpret a passage with a view to its place within the context of the book-as-a-whole and, if available, the larger body of work by the author in question. 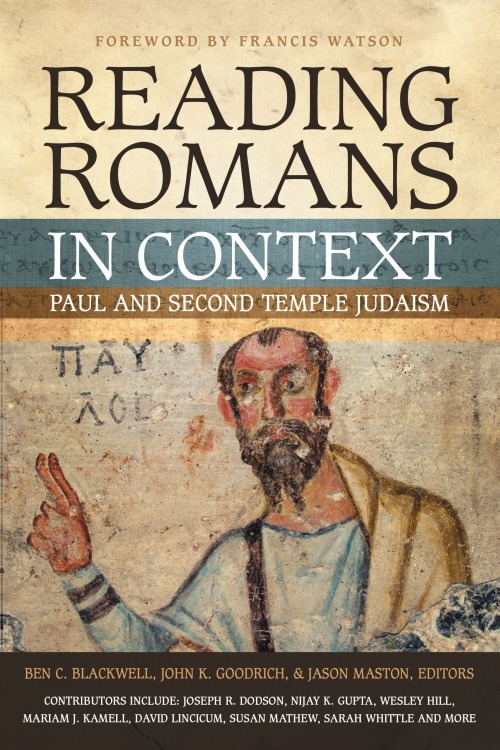 We also talk about historical context, which brings me to Reading Romans in Context: Paul and Second Temple Judaism, edited by Ben C. Blackwell, John K. Goodrich, and Jason Maston (check out their blog). * This book puts Paul in conversation with other Jewish writers of roughly the same period to shed light on the argument of Paul’s most important letter. The non-scriptural material has been well-known by biblical scholars for a long time. This book, however, makes key portions of that material available in a non-technical and introductory format. That means you don’t need a theology degree to read and benefit from this volume. The book has 172 pages of text (not including glossary and indices) divided into 20 brief chapters. The chapters progress through the text of Romans usually taking a chapter or less of text and setting it alongside another Jewish text that deals with similar themes. For example, Sarah Whittle looks at “circumcision of the heart” in Romans 2 alongside the book of Jubilees (chapter 3). Chapter 5 by Jonathan A. Linebaugh compares the all-important Romans 3:21-31 to the Epistle of Enoch to consider the highly debated topic of the revelation of God’s righteousness. Chapter 6 by Mariam J. Kamell considers the similarities and differences between Paul’s understanding of Abraham in Romans 4 and the interpretation of Abraham in Sirach. Chapter 12 takes up the topic of glorification in Romans 8 by reading it in light of Adam’s loss of glory as portrayed in the Greek Life of Adam and Eve. The relationship between hospitality and meals is the focus of chapter 18 by Nijay Gupta, who compares Romans 14 and 15 to 1 Maccabees. The thing to understand is that the argument of Romans is not historically isolated. The letter was not written in a vacuum. It takes its place among a variety of ancient Jewish thinkers intent on dealing with similar issues. Sometimes Paul agrees with them; sometimes he does not. The better we understand those dynamics, the better we will understand the Bible. This value of this book is the way it makes those matters available to a broader range of readers. I’ll add that the essays are well-written, clear, and unburdened by lengthy footnotes. The chapters tend to proceed by introducing the theme to be considered in the passage from Romans (e.g. circumcision, salvation, the Law). This is followed by a short introduction of a relevant non-scriptural text. The remainder of each chapter is then given to putting Romans in dialogue with that text. The aim is to shed light on scripture by considering areas of agreement and disagreement between Romans and the additional text. For readers who find their appetites whet, the end of each chapter gives recommendations for further reading in relevant ancient texts and important secondary studies by scholars in the field. There are many books out there that aim to shed light on the historical context of the New Testament, and many of them are written on a level accessible by non-specialists. These books often proceed with a survey of major themes, groups, and historical events (e.g. Jewish eschatology, Messianic expectations). Let me be clear: this is essential and important work. I’m glad those resources are available. Reading Romans in Context is distinct in that it introduces elements of context by focusing on particular texts. We might say that books on biblical backgrounds often take a wide-angle approach; Reading Romans in Context is a zoom lens that takes the reader up close to the particularities of the ideas in question. I find that students are sometimes intimidated by the large amounts of information that come with a lecture or reading assignment on New Testament backgrounds. There is a lot to learn, and it takes a lot of work. The precision focus of the chapters in this book strikes me as offering a complimentary approach that has potential to mitigate that problem. Students should be able to handle this book, and I am happy to recommend its use in a course introducing the New Testament, Paul and his letters, or on the exegesis of Romans. As a pastor, I would also feel comfortable recommending this book to an interested layperson in a local church setting. All in all, I’m very glad the editors and contributors have published this book. I only hope they plan to produce further volumes that do the same thing with the rest of Paul’s letters. 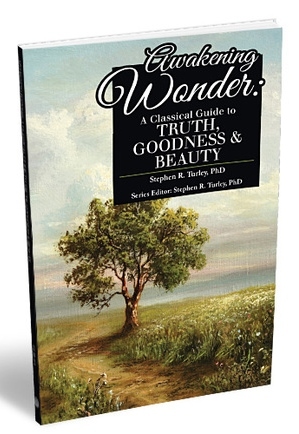 *Many thanks to the good people at Zondervan for providing a complimentary review copy. 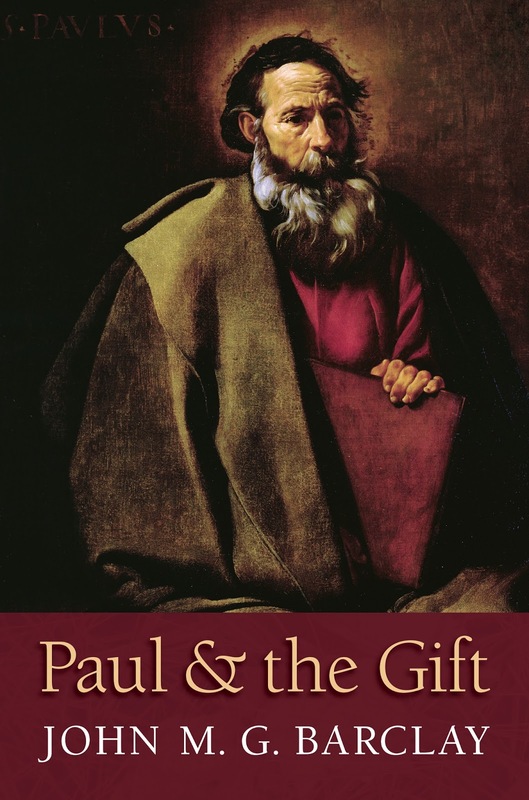 I’ve recently begun working through John Barclay’s highly anticipated new book Paul and the Gift. And at 582 pages (not counting bibliography and indices), it is quite a tome. Barclay is Lightfoot Professor of Divinity at Durham University in the UK. He has given a decade to researching and writing this book, and the quality of his research and argumentation is evident from the first page. Rather than waiting till I’ve finished to review it here, I thought I’d offer impressions and reflections along the way. After all, a full review would likely be somewhat lengthy for a single blog post. Instead, think of the series as a travelogue for a long journey. That said, let’s be off. First, the book is a study on the concept of grace in the letters of Paul. It is titled Paul and the Gift because the Greek word for “grace” is charis, which was the typical way to speak of a gift in the Greco-Roman world. Barclay argues that any Pauline theology of grace should be understood in light of the ancient context of gift-giving. That argument is rather straightforward and not all that surprising; that is, until we dig deeply into context of gift-giving in the ancient Mediterranean world, which takes us to the next reflection. Second, the giving of gifts in the Greco-Roman period was radically different than the giving of gifts in the modern period. This is the argument that Barclay makes in chapter 1. We tend to think of gift-giving as something that is done out of sheer gratuity with no (or at least very few) strings attached. We often think in terms of “pure gift” or “free gift.” Giving a gift to another person places no obligation on that person to reciprocate the gift. And when we come to the language of gift/grace in the New Testament, we read that language in light of our present day understanding of gifts – freely given, freely received. The problem, Barclay argues, is that our contemporary attitude toward gifts is substantially different than the attitudes toward gift-giving in the world of Paul and his contemporaries. In Paul’s day, gifts were part of a culture-wide system of reciprocity and came with many a string attached. To give a gift was to place the recipient under obligation. This, of course, has implications for choosing the recipient of a gift, because you would want to make a gift to someone who could fulfill the obligation placed upon them. Typically, then, gifts were given to people in relatively similar social situations. To receive a gift was to receive the message that the giver considered you a person able to reciprocate the gift. Such a gift creates a social bond, because it is a way of recognizing the value or worth of the recipient. Some implications of this should be clear even before getting to the exegetical portions of the book. What would it do to our theology of grace if the gift of God in Christ comes with strings attached? What if receiving the gift of grace puts us under obligation both to honor God and to obey him? There are implications for pastoral ministry, too. How many sermons have we heard that declare grace to be a “free gift” or a “pure gift” that depends on nothing in us and requires nothing from us? Working out the particulars of these questions will have to wait, but you see the importance of reading Paul’s language of grace/gift within the context of Greco-Roman gift-giving. Third, the scope of this book is remarkable. It is not merely a study of Paul in his context; it is also a reception history of Paul’s theology of grace beginning with Marcion and proceeding through Augustine and the Reformers before moving to modern interpreters including Barth, Bultmann, Kasemann, Martyn, and those associated with the New Perspective on Paul, E.P. Sanders not least. This reception history is followed by an extended section on “Divine Gift in Second Temple Judaism,” in which the diversity of Jewish views on grace are considered. At this point, you are 300 pages into the book, and you are just getting the New Testament exegetical portions which focus primarily on Galatians and Romans. Here’s the point: Barclay has produced a methodologically robust study that deals with Paul in his context, through history, and in our contemporary context. And he is only focusing in depth on two letters. Imagine the possibilities of digging into the other Pauline epistles. Might there be a follow-up volume in the works? Fourth, the New Perspective on Paul (NPP). I’ll be brief here because I’ve only thus far read the introductory and concluding statements on Barclay’s interaction with the NPP. Here’s what he says to expect: E.P. Sanders and other advocates of the NPP argue that Judaism in Paul’s day was a religion of grace. Barclay responds by arguing that “Grace is everywhere in Second Temple Judaism but not everywhere the same” (6). His point is that the NPP has given us a picture of Judaism that is insufficiently diverse. Paul was one voice in the middle of a debate on the nature of grace. Sanders made the mistake of reading different attitudes toward grace onto the Pauline texts without considering the extent to which Paul and his contemporaries might agree that God acts graciously toward his covenant people even though they disagree on the particulars of that grace. If this argument turns out to be successful, it will be a big problem for the NPP. I’m eager to dig into the details of that one, and I’ll be interested to hear responses from NPP advocates. I’ll finish by saying it is very tempting to skip ahead to certain parts of this book that relate directly to my current research. And I may very well do that in order to keep my work moving at a good pace. Nevertheless, the quality of this volume makes me what to read it carefully cover to cover. So, even if I skip ahead, I’ll be certain to go back and catch up anything I may have skipped over. There is much to be learned here. 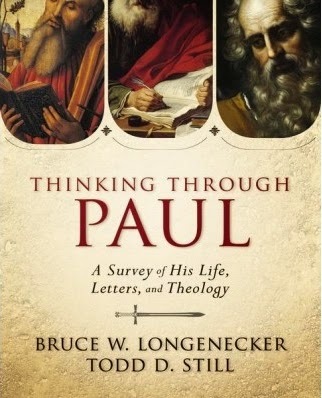 If you are looking for a top notch introduction to the life and letters of Paul, you’ll want to take a look at Thinking through Paul by Bruce W. Longenecker and Todd D. Still. Paul’s impact on the world is hard to overstate. The goal of this volume is to dig into what drove Paul to do what he did and write what he wrote. This well-written and attractive textbook moves beyond a superficial reading of Paul in order to engage the apostle’s thought in an exciting and transformative way. Let’s start with the overall structure of the book. It is organized into three major sections. The first section contains a single chapter that introduces the reader to Paul’s life and ministry. The chapter covers Paul’s life before Christ, his encounter with Christ, and his ministry. The second major section is the longest and is devoted to the letters themselves. A single chapter is devoted to 1 and 2 Thessalonians. The “chief letters” all get a chapter to themselves: Galatians, 1 and 2 Corinthians, and Romans. Then comes the prison letters: Philippians, a single chapter on Philemon and Colossians, followed by Ephesians. The section concludes with a single chapter devoted to the pastoral letters: 1 and 2 Timothy, Titus. Each chapter in this section explains key historical matters that impact interpretation of the letter and introduces its basic content and thought flow. 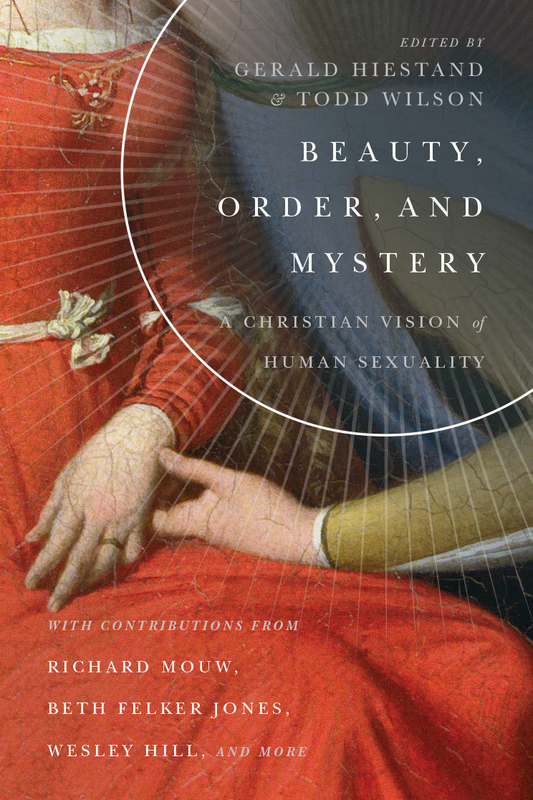 Each chapter concludes with questions for discussion and review, a few other questions to stimulate theological reflection, and suggestions for further reading. The third major section devotes three chapters to theological issues in Paul’s thought. These chapters represent the synthetic component of the book which give the reader a better sense of the patterns and concepts that run through all of Paul’s thinking. In my view this section is one of the major highlights of the book. Readers get chapters on “The Apocalyptic Narrative of Paul’s Theological Discourse” (chapter 11), “Paul’s Theological Narrative and Other Macro-Narratives of His Day” (chapter 12), and “Paul’s Theological Narrative and the Micro-Narratives of Jesus Groups” (chapter 14). Thinking through Paul will be well-suited for college students and introductory classes at the graduate level. Interested and motivated lay persons should find the text accessible. Pastors and church teachers will find it helpful for getting acquainted with points relevant to preaching and teaching in a local church. It contains a few footnotes, but they certainly don’t dominate the text. All of this is appropriate for a textbook. Advanced students and scholars will, of course, be interested in a variety of issues that do not (and should not) come up in this book. All in all, I’m really quite excited about this book. There are a lot of books on Paul out there, but few pull the pieces together in an interesting and accessible manner like this book does. *Thanks to the team at Zondervan for a complimentary review copy.